Singer Beyonce and her husband Jay Z enjoying their vacation in Portofino, Italy. 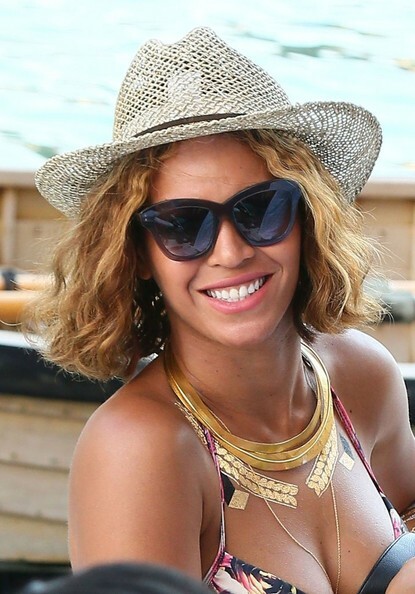 Beyonce Knowles completed her beach ensemble with a straw hat. Beyonce Knowles looked cute wearing a pair of thick-rimmed cateye sunnies while touring Portofino. Beyonce Knowles accessorized with a chic layered gold necklace for a bit of glamour to her summer look.